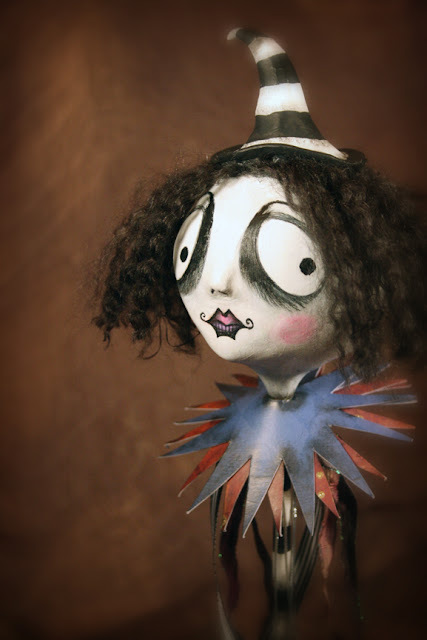 Anyone who knows me know that my works often reflects my love of Tim Burton's art and films. From the black and white stripes to the melancholy eyes...you can always find a bit of an homage to my love of all things Tim. 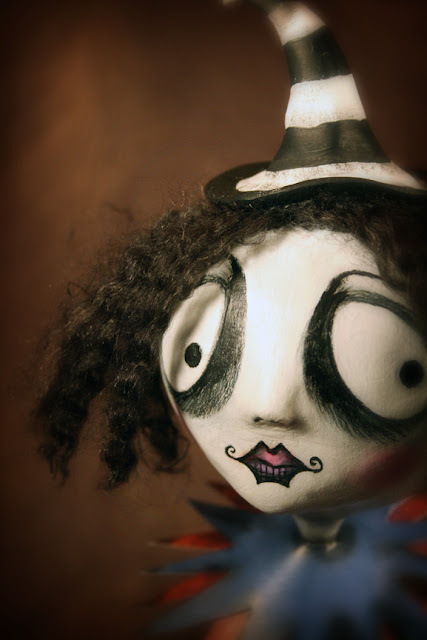 In my latest piece I was inspired by Tim's fantastic drawings from The Melancholy Death of Oyster Boy & Other Stories. I had such a fun time creating this jester stick...don't be surprised if another one pops up very soon!